You might remember Panama City Beach as the place where you rocked out with your college friends on spring break, but the city now has a more peaceful feel that is perfect for families. While you’ll still find bars and nightclubs catering to those looking for something more exciting, you’ll also find attractions that welcome families with kids of all ages. Staying at Ocean Villa Panama City Beach makes it easy for you to find all those attractions and enjoy some activities at the resort too. 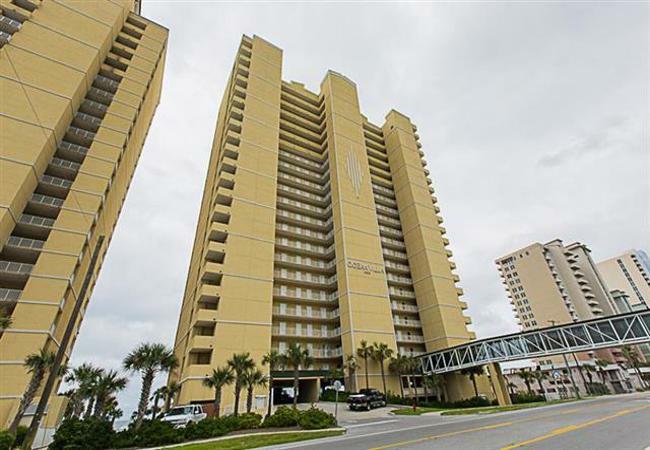 Unlike other resorts and hotels that offer tiny rooms that many travelers dislike, these Panama City Beach condo rentals can comfortably sleep six people. These two bedroom units also come with two bathrooms. If you fight to get into the bathroom in your own home, you’ll love having separate bathrooms on your vacation. The resort has 23 floors, and you can pick a room on a higher floor to get the best views. Each unit has a private balcony that looks over the beach and water or one that looks more towards the city. There are so many features in these Ocean Villa condo rentals that you may find yourself running out of time to see and do it all. A heated indoor swimming pool and outdoor swimming pool let you take a dip, even when the temperature is low. When you visit the sauna, you’ll feel all the tension leaving your body and muscles. If you want to enjoy the sun and fresh air, spend some time on the sundeck. You can even rent an umbrella or a beach chair to take a break from the sun when lounging outside on the beach. You can spend a few hours or an entire day to explore the best of Panama City Beach. Kids will love playing the games at the nearby arcade, and adults will love taking a break at the coffeehouse. Multiple restaurants are within walking or driving distance of the resort, and you’ll also find nightclubs that are great for dancing the night away. Many choose Panama City Beach because they love being so close to the water. You can try paddle boarding, kayaking, scuba diving, snorkeling, swimming or even jet skiing in the water. Local businesses rent all the equipment you need. Amenities include a free parking lot, a fitness center and gas grills outside. There are also covered parking spots available for those concerned about the sun or nature doing damage to their vehicles. Those who fly into or out of Florida can pay a fee to take a shuttle to and from the airport. Workers at the resort can give you directions to the nearby state park and other local attractions.